The Harvard Club of the UK is pleased to invite you to an evening at the Victoria and Albert Museum for a private tour of the Julia Margaret Cameron exhibition with Marta Weiss ’97, Curator of Photographs. Please meet at the entrance to the exhibition at 7:00 PM promptly. 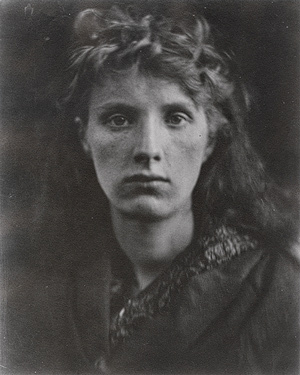 To mark the bicentenary of the birth of Julia Margaret Cameron (1815 - 1879), one of the most important and experimental photographers of the 19th century, the V&A will present over 100 of her photographs from the Museum’s collection. Marta Weiss is Curator of Photographs at the Victoria and Albert Museum. She joined the V&A in 2007 after two years in the Department of Photographs at the Metropolitan Museum of Art. She holds a BA in the history of art from Harvard (1997) and an MA (2002) and PhD from Princeton (2008) in the same field, with a focus on the history of photography. She has organised exhibitions and published books and essays on topics ranging from Victorian photocollage to contemporary Middle Eastern photography. Marta is the curator of the international touring exhibition Julia Margaret Cameron, and author of the accompanying catalogue, Julia Margaret Cameron: Photographs to electrify you with you delight and startle the world.